A friend sent me an email to let me know that he is quitting internet marketing for good. I knew he was ranked high in Google and other search engines, so I was surprised that he would quit. I assumed that because he ranked well in the search engines, he must be successful and making a good income. My friend set me straight, “Getting to No.1 on Google does not guarantee money in the bank. That’s a myth. It made me realize how easy it is to make false assumptions when we don’t have all the facts. 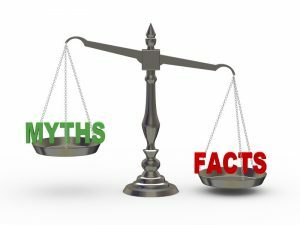 Some myths prevail despite glaring evidence to the contrary. Perhaps this is because of all the hype about how easy it is to make money online and that anyone can do it. I believe these myths persist because people accept things on face value and don’t take the time to think them through logically. The list below is just the tip of the iceberg when separating internet marketing facts from fiction. Myth 1: If you are No. 1 on Google, you will make money. Reality: Getting to the top of the search engines is only part of the story. Traffic is wasted if no one will buy your product. You must have a product or service that people want, and your website or sales page and sales process must make it easy to convert your visitors into buyers. Myth 2: There are businesses and people out there waiting to give you money. Reality: No one is out there waiting to give you money! People who have money like to spend it on themselves, their families, and some will give to charity. A business is a business. It is there to “take” your money. A proper business will give you a fair exchange of value for your money. Myth 3: They tell you “this program” can make everybody rich. Reality: If that were true, it would be the only program on the internet because everyone would be in it! Myth 4: You can make money in your sleep, on autopilot. Reality: Sure, you can make money while you sleep, but only if you do the work while you are awake! Would you like to be a passenger on a plane that operated on autopilot? Who will start and land the plane? Automation can help, but a plane needs a human pilot. So does a business. Myth 5: You don’t have to spend money to make money. Myth 6: The more followers you have in social media, the more money you will make. Reality: It can get loud and crowded in social media. Is anyone really listening? You can have a huge number of followers, but unless you engage with them in a meaningful way, it will make no difference to your bottom line. A relationship, whether it is business or personal, will work while both parties are continuing to receive value. If the value is not there, the relationship won’t last. Internet marketing is about sharing information, awareness, branding and building relationships. No one wants to be sold to. Myth 7: You need multiple businesses to succeed because if one fails you must have others to fall back on. Reality: I’ve seen affiliate marketers promote several different programs or businesses at the same time. Some of these programs actually compete with each other. They are not confident that any one of them will be sustainable, so they hedge their bets. Which business will succeed, one where you apply 100 percent of your resources and commitment, or where you apply 25 percent of your effort to each of 4 businesses? You can have one business that is structured to provide multiple streams of income. That can mean setting up your website business model to provide multiple products, services and income options through your one business. When that business is established, it may be the right time to start a second business, and so on, but not until your primary business becomes successful. The reality is that nothing works unless we are willing to develop and educate ourselves and do the work. Click below to do exactly that and discover how you can benefit. Hello Jude great post my friend, I love the fact that you point out about all the get rich post that are floating around on the internet. They’re so many websites out there all promising the same thing get rich over night. Now we should know better if this were true everyone would be rich already. Sure they’re a ton of ways a make extra cash one line you just have to find out how you can apply this method to your self to start earning. Don’t get me wrong the internet is a open book to everyone who dares to take chances and yes, I’m am one of those people who will just have to smart about it and don’t let anyone take you for a ride. I will never be taken in by these get rich methods because I already know about them and stay far away..
Great post Jude very interesting read.. Have a wonderful day. Rob, thanks for stopping by. Glad you found it an interesting read. It’s nothing new to many of us, but it never hurts to be reminded and not become complacent about the realities of business online. I was quite shocked when I realized that some people insist on believing that we can make money for doing nothing. I sometimes wonder if I’m communicating with a 12 year old on the other end…LOL. You are doing fine work at your site. I always enjoy and benefit from the information you provide. I see and hear about so many people just starting out in this business thinking they will make money straight away with hardly any work….what planet have they come from? or who told them that? it is a shame that they are thinking, and being told this as it is just not true, it does take a lot of hard work and commitment to succeed. Having blog posts like this to tell them like it is I find very helpful so thanks for sharing. I guess it is the magic button syndrome and people not thinking things through beyond the hype, or they just assume things. There are tons of posts online warning people about the hype and false promises. I just wanted to add a few more to the list that came from my own observation and experience. Pauline, I greatly appreciate your feedback. Thanks for stopping by and enjoy the rest of your week. So true, Adrian. It is the same as the idea that having more social media followers or being No. 1 on Google will mean sales. It may mean more traffic, but as you so well explain, having more traffic does not necessarily equate to more sales. Traffic is the backbone of an online business, but it cannot be just any traffic, it must be targeted. I still use traffic exchanges, but mostly for branding. Email marketing, in my opinion, is still the best way to get results online. Having a list and using email marketing effectively are the only two things that have ever really worked for me. I’m relatively new to using Social Media, just a few months in, but already I can see that it needs to be used in conjunction with email marketing to realize its full potential. By the way, I appreciate your pointing out the issue with the CommentLuv plugin. I should have tested that when I changed domain names. Ignorance is not bliss! I hope it was corrected by the time you arrived here to post. Thanks again for your feedback. I enjoy reading your newsletter. At the moment I am in product creation mode so other than a bit of social media and blog hopping/posting (to keep me sane), I’m not doing much marketing. But the time will come, and I’ll be glad to use your service. I’ve used paid Solo-Ads in the past and they have brought me good results. I could not have said this better myself Jude! You hit the nail on the head with these. First off, I’m so sorry your friend is quitting. I firmly believe that being online is such a learning process and it’s an art. Just like anything else in life. We all just have to find where we belong. I was one of those naive people when I first came online because I always believed that if enough people said it then it had to be true. I had no clue about the internet or how to make money. And I am one of those people who has a lot of common sense too! Dah! I felt so stupid once I really understood this entire process. You definitely pointed out some myth’s people should stay away from. There is a way to make it, everyone just has to find their own. I appreciate your taking the time to drop in. Internet hype often sends out the one-size-fits-all message, but, as you say, everyone must find their own way to make it. You are certainly doing a great job in helping us do that, for which I am most grateful and I’m sure so are all your readers. You’re so very right, there are so many myths floating around the internet when it comes to making money. Just because somebody has a pretty website and a good size following doesn’t mean they’re converting it all to income. The other thing that people fail to realize, which you mentioned above, is that it takes work. Just like any other business. The big checks come down the road because of all the groundwork and foundation that you’re laying today. But you have to stick it out to get there. It’s so easy to quit and give up along the journey. But it’s not supposed to be easy. The journey involves learning and growing, and it’s all necessary in order to be able to handle the success down the road. Thanks for sharing. I found your blog from Adrienne Smith’s Facebook page. I’m glad I stopped by! Barry, so true, as you say, that as with any business, we must first lay a strong basic foundation. If we don’t do that at the outset, our business will be like a house of cards, ready to fall over at any minute. I’m delighted that you found me through Adrienne Smith. She’s amazing, isn’t she! I am enjoying reading the series on your blog about finding our own Unique Selling Proposition. Thank you for sharing those valuable tips. I appreciate your visit. Wishing you all the best, and do drop in again any time. Hype doesn’t work any more. There’s too many fly by night fake it till you make it. Crappy products going around to outdated content. Don’t fall into the trap. You are definitely not in this bracket. John, you are so right about crappy, outdated products out there. There are good ones too, but more of the latter, I’m afraid. Unfortunately, I still see hype working, especially where newbies are concerned. There is a “gullible” stage many of us have to go through before we wise up. All that the rest of us can do is put the information out and hope that those vulnerable pay attention and heed the advice. This is a great post that you obviously have put some thought into. I think everybody who has tried to start an online business can identify with the points you make. I agree that an exchange of value is what you are aiming to achieve with the products you are selling. Notice the word “selling” as you rightly said nobody is waiting to give you money, you have to persuade them that they are going to receive something of greater value than the money they are going to part with. When customers perceive that a product or service will give them their desired value for the right price, they will end up selling the product to themselves. “This product will do x, y and z to solve my problem, yes, I must have it”. Whether they buy from you or from someone else is more about the relationship and trust. marketer I trust the most. Thanks for stopping by and your feedback. Have a great weekend! No value, no loyal and happy visitors. No happy visitors, no money. You are right, “value” is the key, but even that may not be enough. The source of the traffic is also crucial. For example, the marketer you mention who complained that he has 4000 visitors a month but no sales – it would be interesting to know the source of his traffic, whether it is from the search engines or from email campaigns. Because if the marketer has a loyal subscriber list, his chances of getting sales would be greater than if his visitors are people who arrive through the search engines. When we think about it, Google is a SEARCH engine so people are searching, or researching. They are not necessarily buyers. On the other hand, subscribers to a list who visit a website through a referral link in an email from someone they know and trust are more likely to become buyers. Dita, I appreciate your feedback. Thanks for stopping by and do visit again soon. So true. It is such a shame that the truths were not provided when we start out. How many times do all of us get suckered in on all the lies and promises. It takes “true grit” to hang in there and stick it out. Of course some have lost so much they could not afford to stay or even understand how they could possibly make a dime with their unfortunate experiences online. The illusion goes up in a puff of smoke, so sad. Nice to see you again, Mary. I know what you mean about hanging in there. Sometimes it is just a matter of having put our ladder against the wrong wall in the first place. I look forward to reading your latest post. Mine is in the process of ‘brewing’ …LOL. Thanks for visiting my site. I value your feedback. Yes, we can indeed make money while we sleep…and then there is the big BUT, which some people miss, the WORK part. Mind you, it doesn’t have to be “WORK”. Earning online should be enjoyable too. What has happened to your Gravatar? I can’t see your smiling face with that cute hat! Be sure to visit the Gravatar site and add your pic there. More people will visit your link if they can see a pic or something that represents you. In the blogging world, a comment without the author’s logo or pic is considered spam or fake and the comment may not be published. 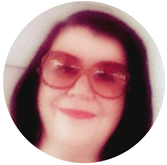 The other option is to turn off gravatars altogether, but for me anyway, blogging is about building a social community and giving my readers the confidence to visit the sites of those who leave comments on my site. Thanks again for taking the time to drop by and read my post. Josh, yes, it worked. Looks great! I am following you on twitter now. Thanks for including your Twitter link. This is a great business sense.Really useful for IM’s. Thanks for visiting my site. I appreciate your feedback. I liked the six tips for life on your site. You might consider getting a Gravatar for your site’s comment – see the link in my reply to Josh above. One thing that I would like to add to the conversation is “Be careful what you wish for”. Let’s say that you do get to the number one spot on Google (this happened to my wifes business) for a good keyword. You have to have the capacity to actually be able to deal with all of the extra work. If not, it could lead to a bad customer experience by either not answering the phones in time, not being able to conduct the work, or something similar. I’ve seen a number of good businesses fall from the number one spot and get a bad rep around town because they tried to grow too big, too quickly. True, Wayne. So nice to see you again. We must think ahead. That’s where a good business plan comes in. People often plan for failure, but don’t plan for growth, and that can spell disaster, as you say. Thanks for dropping by and adding to the conversation. It’s what makes our blogging community interesting and fun. I’ve shared your excellent article on Trademark Scams at Google Plus. Overall I believe that to earn money online you have to provide REAL value or in the end you will make small insignificant amounts or, more likely, nothing at all. Tony, spot on about providing real value. I have bookmarked your blog and look forward to my visit there.